"An efficient way to track your ads"
Sizmek has easy to use reporting that allows you to track how your ads are performing. Multiple campaign managers that I have worked with have no problem working with them, even if they are new to the platform. We also love using the reach frequency tool when we run with multiple digital partners, helping us get valuable insight into how well we diversified our partners and targeting. They also have a team of very helpful service reps who are more than happy to answer our phone calls and help when something goes awry. Sizmek does not track in real time and that sometimes effects how we are able to hold partners accountable who are running our ads. Sizmek has a great team of very responsive individuals who have helped us in a time crunch. They also have a big team so even if it is after hours in one office, they will pass along a project to an overnight team to ensure that you can get done what you need to for your campaign. Sizmek helps us hold all partners accountable for delivering on the number of impressions promised and allow us to bill off of these 3rd party numbers. "Company without direction and poor execution in product"
Sizmeks DSP was known for it's performance as the legacy Rocketfuel DSP. More information has recently come out that shows that Sizmek was pooling user data across different clients in order to improve performance. While the DSP performance is undeniable, the algorithms being used by the company are suspect and a complete blackbox. The company stresses transparency but fails to actually provide that to their clients. Since the DSP was widely known as set it and forget it you're completely relying on the algorithms to drive performance. The customer support team offers very little besides offshore support and it feels like dollars spend doesn't matter to the company. there are infinitely other companies that provide better solutions than Sizmek with the same product set. Sizmek's Ad server and DSP can be combined to compete with google in theory, but the lack of support from their teams makes it questionable as to what competitive advantage they have over a bigger and more reliable company like google. "Might Be a Good DSP, But Search Integration is Bad"
I like that Sizmek has a feature called Search Connect to link Google and Bing accounts in order to gain Sizmek conversion reports for Search, but it is far from perfect. Support took MONTHS to respond to my questions about Sizmek Search Connect's compatibility with Google's new parallel tracking and it took weeks after that to diagnose why their click trackers were getting our Google keywords disapproved. I even tried to ask them if my Google Display campaigns were tracked at all, and they couldn't answer the question. I finally gave up on trying to re-word the question for them and no one ever followed up with me on the support ticket. Lastly, they don't care to find a work around for Safari's ITP 2.0 so they do not accurately tracking conversions from users using Safari (about 20% of searches). Meanwhile, other platforms like Google, have created work arounds to help improve conversion accuracy. If you use Sizmek or are planning on it, don't integrate your search campaigns. It's not worth the hassle and there are much better platforms out their like Google Search Ads 360 (formerly DoubleClick Search). None for me, but I don't use the DSP size of the platform. I can upload very large amounts of OTA creative assets in bulk. Sizmek really cuts down on my trafficking time! Sometimes their are glitches in Sizmek, or delays when I add line items to Placements, etc. If you are looking to cut down on your time spent trafficking OTA assets, billing, and reporting, I HIGHLY recommend Sizmek! Trafficking large amounts of banners to multiple OTA services. It saves a huge amount of time, and we are able to speed up billing, reporting, and analytics. Many departments at our agency benefit from it, not just media. "Good Ad Server, but Needs some Major Fixes"
We love the scale of Sizmek. For our agency, we need a workhorse to run hundreds of ads across clients throughout the week. Sizmek lets us do that at scale. In addition, we like the ability to quickly generate retargeting and conversion pixels for clients who need their direct response campaigns fast. I have two complaints, the constant "drops" in access and the customer service. Often (as in at least once per week) we can't access Sizmek because it's down. This stops all of our work in its tracks. Secondly, their customer management teams are little better than a help site. More often than not our questions are met with "maybe" or "not sure". My recommendation for others considering Sizmek is to truly consider if they need the scale Sizmek provides. If scale is not a major need, than I would recommend another ad server provider. With their constantly down system and poor customer service, I can't recommend them strongly. We use Sizmek to ad serve our campaigns at a large scale. In addition, we use Sizmek to track conversions, conversion revenue and basic metrics include clicks, impressions, CTR etc. for our campaigns. Our clients are predominantly direct response based, sales driven organizations so being able to generate and place pixels and track results with confidence is very important to us. "Useful tool for strategy development and marketing analytics"
I like how the application integrates many streams of customer interaction into one software and presents it in a logical way where the analytics can be interpreted for future planning. Don't like how complicated some of the features can be and the lack of a tutorial/ lack of support from the team. Extremely hard to work with sometimes. Additionally, some of the information requested from our campaigns were missing. It helps identify the customer and provides data on certain aspects of your service/ product offered. "Good Platform That Needs Some Work"
It is not as user friendly as it should be. There are many areas where it takes a bit of extra work to do something that would easily enough be done with the click of a button. Although I no longer use Sizmek, I found that it really helped that you were able to get all of your information in the same place, rather than having to request it back from so many different vendors who have their own schedules of sending things back your way. "User-Friendly Display/Video Tracking, Analytics and Trafficking Platform"
Sizmek is fairly intuitive and the platform itself contains a lot of prompts to explain each element/lever you can interact with. The analytics platform is easy to understand and makes automating reporting for both internal and external parties simple. The trafficking and campaign management section of the platform is also streamlined and allows for a lot of granularity in how you set up your campaigns without overcomplicating the process. The interface look is outdated and you aren't able to do a of the execution online (i.e. instead you are pulling exports of plans, editing then reuploading instead of changing/editing within the platform). I recommend learning how to use Sizmek on the newest release of the platform vs. Sizmek MDX. Our team learned on MDX and have found it hard to switch all of our campaigns over to the new platform simply because we typically run engagements with clients that run for years rather than one-off projects or campaigns. I also recommend meeting in person with your sales rep - we get a great level of support from both the Online Team and our rep.
We use Sizmek for trafficking ads, analyzing campaigns and tracking conversions for our clients. We've been able to pitch and run big campaigns with a relatively small team because of the easy of use of the platform and support from the Sizmek team. "Intuitive platform, good customer service"
it's pretty easy to use from an ad serving standpoint, with functionality being intuitive, a lot of great reporting features, and i can always rely on our customer success rep to get back to me with help/answers in a timely manner. i use sizmek as an ad server, and it's saved a lot of time and avoided confusion with trafficking and flighting ad creative because i can do it all in the platform and send tags off to partners instead of having to constantly monitoring several different partners at once. "Sizmek, reacting late to the HTML5 panic"
I'm a software developer that builds ads for HTML5. I like the ide that you can upload independent HTML5 projects you optimize and maintain on your own (beside the hacks and workarounds, my team of Developers has had to upload working assets to the platform, this is issued in the dislikes with detail). I strongly dislike the HTML5 creator abilities to manage files and locate creative assets precisely where you want them, it makes asset directory management painful and annoying, and discourages usage of the platform built in creator. Creator custom controls are quite stiff for customization. All platform features lots of 1990s web techniques like opening dialog windows, and actually I think the whole platform needs overhauling to even make it available in mobile platforms. (considering we can abandon Flash). GoogleWebDesigner and Adobe Edge support is niceIt supports GWD and Adobe Edge Creatives, and has notoriously outdated Documentation to implement EB classes on both. 1. PDFs? Really? Host a web page so is easier to update to current application version and platform standards! 2. Links to EB loader downloaded an old version of EBLoader.js and GWD directions state this: do not publish, how would you recommend that? If you don't publish your CSS will only have -webkit vendor prefixes, and the add would only work in webkit.. Absurd! 3. Adobe Edge Is a great animation tool, but your documentation points to old EBLoader.js in the PDF had to be updated with the Loader on Showcase Templates. Platform home screen is unhelpful for HTML5 ad creation should have a more clear and visible way to instruct developers their options. A starter Kit, sort of documentation, as in other common web API documentations, including all the possible scenarios (Custom Built ads, Adobe Edge, GWD and Platform HTML5 Creator, etc). Showcase Standard and Rich Media templates could be an open sourced github group set of repositories that include all scaffolding to deploy optimized assets directories. I build one for our team using gulp, gulp build task creates zip files ready for deployment in seconds. You can use either Browserify, gulp or webpack, whatever the masses like the most. Search should remember what users search the most and show it, as developers, my team searches for ads most of the time. Other users (campaign managers) will search for campaigns mostly. They need to work towards, as much as other competing platforms, making this a modern way to do advertisement. Either by improving the WYSIWYG, and renewing platform UX and workflow for custom ad units. Is full of arbitrary and rather antiquated functionality, when things could be a lot simpler. Other than having to work with something that makes me feel like a productive part of the process. This platform needs a lot of overhauling to make things work like they are in this decade (or century?). "Most efficient UI I've worked on; slightly slow processing speed though"
The UI is generally more efficient than other ad-servers I have experience with. You can accomplish most trafficking tasks with very few clicks. I think the best feature is being able to edit things like placement, site and click-through url in-line, which speeds up the process a lot in comparison with Google software, where you have to click into each placement/ad to make most amendments. Being able to change the site after the placement has been created is great, as is being able to delete placements rather than just archive them. The Testing Mode feature in Conversion tagging is great - if you visit a url with a conversion tag on you get a pop-up telling you the name of the tag. This saves SO much time, I don't know any other adserver with this function. The adserver has an unusually slow processing speed; however I'm told this will be improved once the new UI is rolled out. Un-assigning ads is a laborious process because you have to make sure all live placements have at least one published ad assigned to them at all times; so you have to swap in a new ad, publish it, and then go back to un-assign the original. "Sizmek and their unbelievable service"
The efficiency - that time of day when its after hours and you need advice and need to launch a campaign the staff are always there to support and are friendly and highly efficient (Lauren Rossouw and Kerryn Kiely), this also covers the time lag to get campaigns up less work on nitty gritty admin and more focus on optimisation. Also transparency and tools that help measure campaign performance best. Great platform to use but ensure you understand the granular details first... over-deliveries don't occur with a 3rd-party ad server but with publishers using the tags and its things like this that need to be understood (we over accommodate tracking cost in our media schedules to ensure that when over-serves occur we have sufficient tracking budget). Viewability and transparent tracking has allowed us to align our marketing objectives with our campaign performance best. This helps us explain how effective our media is to client and assists us in attaining and proposing for more budgets. "easy to use, good customer service"
we can easily pull reporting on our campaigns and can view data as frequently as we like. we benefit from sizmek by being able to send daily reports to our partners, as well as being able to view our performance. Great tech support team. We can rely on them to problem solve any issues we have in uploading ads. The system is very intricate which means we can get down to the tiniest details for each placement. The system is a bit slow to respond at times. The Sizmek showcase is good, but sometimes the templates are not always accurate. The other thing is when we got the Sizmek HTML5 Siffy conversion guide, there were errors in it, which caused issues with ads serving ads with non-SSL compliant code. The system can be a little slow to react, move between placements, ads etc. There is alot of clicking and publishing throughout that makes the process slower than the process used by doubleclick. Also though the delivery groups are helpful, it can also be very annoying. We use Sizmek on a daily basis to create campaigns, and adserve our creative to various publishers. Its a very intricate system, that allows for multiple creatives, multiple rotations, and multiple URLS. It also creates detailed reporting for our Media team. As someone who has used both Sizmek and DoubleClick, I can say that the Sizmek product is more intuitive. It does not require a high level of technical skill to use. It's easy to set up a campaign, media placements, creative delivery groups, attach the ads, update the ad urls, and send out tags to your media partners. Customer service is really good, too, depending on who your rep is. I've had one excellent rep and one not-so-much. You can also email support@sizmek.com for whatever issues arise. I like the ability to bulk upload creative. The system is a bit slow. When you save anything, it takes a few seconds before you're able to move on to the next step. I recall this being the case with DoubleClick, too, but I'm not sure if they have corrected for that. The Export/Import media plan feature is usually helpful with a large number of placements, but this function didn't work when I used packages for my placements (when multiple placements share impressions and budget). We use Sizmek for ad-serving, conversion tracking, optimization decisions for our media partners. This helps us keep our display reporting all in one place and dedupe conversions so that we're attributing credit properly to each partner. We haven't really utilized the creative services that Sizmek offers, but I've looked at these tools and they seem relatively intuitive. What I like most about Sizmek is that its open-source. I can plug into anything and works well alongside any Client specific tech. I find it reliable and robust. the creative showcase is a good portal for resources and tools when it comes to HTML5 build. I feel its a bit slow and outdated. Although it works well it doesn't have the processing speed of some of the other platforms we use. I know there is a new release due out soon so Im hoping that will resolve the latency and a few other tech issues. Since moving to HTML5 the platform is unable to duplicate multiple creative assets, which is understandable due to the differing nature in the structure of the code but this would greatly speed up some campaigns where clients have specific requirements. Again I have been advised that this should be available in the next release. It is a good solid platform with a new UI coming shortly it is a bit step forward. Helping to move creative agencies forward with the switch to HTML5 has been helped greatly by the support guys at Sizmek. they have held a lot of sessions to educate their clients and partners. Actually I think that the most important differentiating aspect of Sizmek when compared to their direct competitors is the level of support in local markets. We’re using their technology for our EMEA clients in all the region and their ability to support our local teams is outstanding. Another very positive point is their flexibility. They are very open to accept request of customizations and they listen to what we're saying as an agency. The last important advantage of using Sizmek is that it's an open platfom and we can plug many different third party technologies like Bid Management tools, Attribution Modelling tools, etc. Sometimes they are a bit too optimistic about integration with third party technologies. At the end of the day everything works as expected but is not always as easy as they said. The UI is not the best today but in Q1 2016 they are supposed to deploy the new UI that should speed-up many tasks. I think that Sizmek is a good choice if you need one open ad-serving technology that can fit in a complex tech stack and you need outstanding support. If you're working with a full-stack provider probably is not the best option. The biggest problem that we solved using Sizmek has been an EMEA ad serving consolidation for a multinational client. Now we have one single source of truth for digital reporting. This is an huge achievement and success for our agency. Today we have "near real time" reporting for more than 12 markets. "Powerful tool, great reporting, not performance-friendly"
The off-the-shelf reports and versatag make tactical, result-oriented business intelligence a breeze, and considerably speed up reliable, meaningful reporting. The peer 39 verification tools makes no sense whatsoever (at least in a non anglo-saxon language and localization), though pre-bidding and inventory negativation tools compensate a bit. The biggest downside, which turns out to be a nightmare really in practice, is the redirecting service, which is not compatible with Facebook and Google/DoubleClick performance tools, requiring our placements to either take place 100% outside the Ad Server (thus fracturing monitoring and reporting between multiple sources) or worse, that we create one placement with one exclusive redircect URL for each site/channel/format/content/segment combo. This latter alternatice in practise means HOURS of pointless labour, increased chances of human error, and depending on the vehicle may mean we'll bid against ourselves because of the necessary split in placements. We use Sizmek as a centralized data silo (except for performance tools which don't integrate with it well), as a media analytics and reporting tool (quite successfully), as a validation/verification/accountability tool (with varying success and lots of room to improve) and of course as an Ad Server / DSP (pretty good at that). I've found the Sizmek platform to be very intuitive when learning. The system makes sense and allows me to group things the way I want. I don't like when I'm setting up a campaign, the tag publish and creation tab is before the billing tab because technically I can't deliver my tags to vendors without generating an IO first...but then why does the option to generate an IO come after the option to generate tags? Sometimes the reporting is frustrating. If you're looking for control over your adserving, the self serve platform for Sizmek is one of the better tools I've looked at. There are a few reasons I use a third party ad server. 1. it helps me keep all my reporting in one place. 2. it ensures my vendors are held accountable to their results. 3. it helps me with negotiations with vendors who don't want to host larger/rich files. The range of services it offers. I am able to successfully send third party tags and pull comprehensive reports. Page loading times. Every single step of the process takes 5-10 seconds which slows down my workflow considerably. It helps us keep track of the delivery of our online banners, so we don't have to rely solely on the data provided by vendors. "Happy to to have Sizmek as our primary ad server. " Sizmek is easy to use and very proficient in delivering the desired data we need to have for reporting. At this time we are not utilizing Sizmek's conversion tracking but from a general delivery standpoint, they are very proficient. Sizmek's numbers have been known to skew from other third-party reporting vendors, this requires us to have to utilize other third-party reporting companies for certain campaigns. We use Sizmek as our third party ad server where we use it to track all of our impression delivery and geo delivery for nearly all of our campaigns. "Sizmek is not as user friendly from a vendor perspective as a third party ad server "
Ease of user interface. The campaign management module is set up in a tab like format making it easy to navigate. There are multiple ways to perform the same actions/make updates (via excel export or via the platform directly). User can customize each tab view to include and order the necessary columns. Sometimes it's slow to update especially with larger campaigns. The dynamic XML feed takes a couple hours to update. Consolidated all our ad servers (primary, rich media, video, mobile) into a single platform (Sizmek). We've had no issues with publisher/ad server discrepancies and spend less time on billing since we only manage one vendor vs four. Our reporting has also been consolidated and we've been able to gain richer insights due to the ability to integrate with Omniture and other 3rd party platforms. Different tabs for different functions from campaign set-up through to billing. I also like the fact that you are able to adjust billing/pacing based upon delivery. As a new assistant planner, I found it very not intuitive to learn. In addition, the help functions were sub-par, and I ended up learning how to fix many problems on my own when things went wrong. Placing orders to communicate goals and expectations with various vendors. "Quite good platform for adserving"
- The better UI/UX, everything is intuitive on the dashboard. - smart adserving, targeting and reporting options. Cost for adserving is too expensive? therefore in developing countries it is not possible to use Sizmek for most of advertisers. Especially for rich-media ads CPM is high and even sometimes adserving becomes more expensive than media placement itself. Sizmek is good choice for big advertisers (FMCG, auto, pharmaceuticals etc.). For advertisers with little budget it needs to clarify business needs and think again. I use Sizmek mainly for adserving functions. All functions are available. Functions for creative and development (banner design, programming for interstitial ads etc.) are not used, but in upcoming years we plan to start use Sizmek for these purposes too. The ease of using the platform for self-serve campaigns, the reliability of the QA process and the granularity of reporting. The support teams response time and expertise. Our account manager is very hands off and often very hard to get a hold of. In addition you can get multiple answers to the same question from the generic support team. Advertising for multiple clients, it is very easy to create a centralized process across publishers and clients. "Easy and and well organized software. " The advanced filters to understand how our ads were performing online. It was great to see the click-through rate at 0%, 25%, 50%, 75%, and 100% to fully understand how our ads were being watched. Once the information was exported to Excel, it was a little harder to understand. A more organized Excel export would be beneficial. 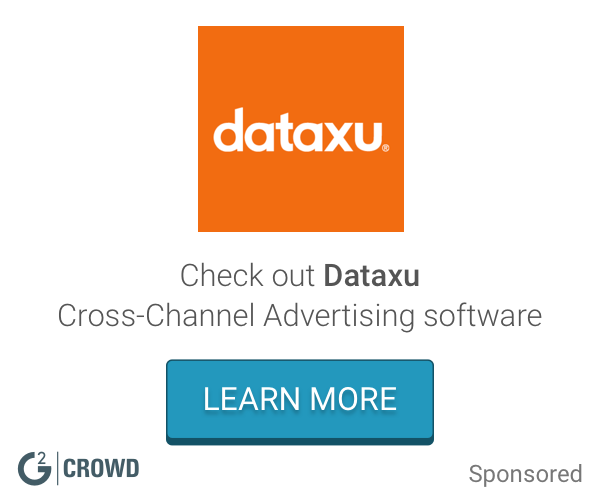 Great software to use to track online advertising campaigns! I was using Sizmek to track advertising campaigns on online Discovery Channel shows. "Planner who tracks digital campaigns and analyzes delivery data via Sizmek"
What I like best about the Sizmek MDX platform, in particular, is the ease of use with the new Analytics dashboard. The various visual graphs and data displays are intuitive to the user and easy to understand, which makes digesting large amount of data simple. It is also nice that they kept Analytics Classic as a view option. The Report Builder function provides simple customization, and is compatible with many other vendors' data sets. Sizmek is currently working with other vendors that we work with to join forces and make the Sizmek platform the virtual one-stop-shop to fit our needs. There seems to be a lot of steps that need to be made in setting up secure HTML5 campaigns. Each step is a chance for a potential mishap to occur, which can cause a problem later when serving ads. When these problems have occurred we do not find out until after the fact, usually through a vendor we have placed with. It would be beneficial to have a dialogue box that catches the error right away while setting up the campaign. This usually occurs when trying to deliver secure HTML5 ads. The Sizmek MDX platform continues to improve, and from what I understand they are rolling out an even better product in the coming weeks. Highly suggest Sizmek. We are able to track multiple campaigns for multiple clients in a single, easy to use place in Sizmek. We derive analytics and create custom reports directly from Sizmek's platform. "Sizmek review by a dev"
Easy to use and quick to learn, makes the process of managing ads and assists very simple which is a huge time save when you are building hundreds of ads. Also allows for batch uploading and creation which is a MASSIVE time saver. HTML5 API is reasonably robust, has what you need and their in-house HTML5 builder app has its place for basic ads. Can be a bit slow from time to time. Currently no simple way to batch create HTML5 banners but are working on it. Would be great if had more detailed support for things like API. Trafficking digital ads in bulk with a number of publishers. Returns have been a huge time save and quick fixes when we do fun into issues. "Like Stepping Back in Time"
The list of things we like about that platform is short - namely that it serves ads. "The onSize product that saves that day." Sizmek is very easy to use. It is all all inclusive platform and can handle the workload of a large agency like ours. Everyone is the company uses and values this platform. It helps us get day to day needs and operations taken care of. Overall. We have nothing but good things to say about Sizmek. We are highly satisfied and would recommend the software to anyone and everyone in the marketing field. The only dislike I have is that Sizmek can be slow at points. They are currently looking to rectify the situation and make it run smoother. I wish there wasn't a time limit of being logged in. It is nice to have, but at the same time it can be frustrating logging in so often. Overall. none of these issues affect the reliability and the usability of this product. We are solving third party tracking. We can also address impressions and cost discrepancies between vendors and our agency. This helps in pulling cost information. There are many uses for the products they offer, such as creative tracking and cost effectiveness. Overall, it is a great product and I would definitely recommend it! The benefits of this program are endless, and we are looking forward to continuing our use! "easy to use ad-server and great customer service"
Sizmek allowed us to properly attribute conversions to correct channels and prevented us from double counting those conversions. I think Sizmek is a great option for companies in need of an ad server but not a great option for a trading desk. As a data analyst I like the way Sizmek collects data in a way that allows me to slice and dice it in as many was as I can think of. I wish the API was easier to integrate into independent systems. I've tried to create an automated integration system and it was quite difficult and I had to use some janky workarounds. I've been analyzing how our clients are performing in the marketplace and recommending insights based on my findings. Sizmek has allowed me to get a clear picture of what's happening with our clients and where their areas of improvement lie. "Easy to use and reliable software for Advertising! " It was easy to build and send tags to clients, operations & sales. They were some of the only tags i've ever used with little to no issues. If building from scratch, it can be a lengthy process, however with further knowledge of how the system works, it's easily overcome. Able to create and use Ad Tags for various campaigns. Making it simple and easy to generate previews and placement tags in a hurry. "Has Pros & Cons Like Other Ad Servers"
Depending on what you are using Sizmek for the ease of use and large variety of tokens (macros) available are the best features. The ad (creative) set up with the delivery groups (ads), settings that can be applied and creative platform overall with AMAZING support are added benefits. The platform for action tags/floodlights/ pixels is a little different but having a support team QA these has helped catch problems before campaigns went live. Biggest draw back for me is not being able to assign more than one click through URL to a placement and having to assign each URL to every placement instead of bulk applying. Other areas for improvement that I would like to see include having sections that span across all publishers/sites instead of having to add each new section for each new site. Being able to publish the tags from the media plan instead of sending a code package each time if you are downloading certain tags would be great. Also, keeping the filtering settings would be helpful when assigning ads to a huge campaign and having to reset the filters each time. Sizmek is a great tool for clients using a lot of rich media creative and with various takens/macros for analytics purposes. The platform overall has great ease of use and the customer support is excellent. I work within Ad Ops on the agency side and how I use Sizmek is different from my predecessors on the same account but one of the biggest benefits has been the excellent support over creative, trafficking and management as well as the creative tools and platform. Sizmek is open to working with an agency that has small to medium/large clients. The interface is simple, clean and easy to understand. The largest disadvantage to the platform is the poor customer service. Our agency is mid-sized so while we understand our investment doesn't allow for a dedicated support team, the service we do receive is often slow (it just took 2 weeks to complete QA of a container tag/mapping rules). Sizmek helps us solve the baseline needs of the ad serving space - keeping partners honest and ensuring our client messages are served in viewable/non fraudulent places. "Using product on daily basis to pull reporting; upload campaigns etc. " Ease of dashboard. Easy to navigate and pull reporting, campaign set-up etc. The platform is intuitive and easy to navigate. Product roll-outs can be slow and communication from the Sizmek team can be confusing. In general, we would love to use Sizmek as a sequential messaging and cross-device solution for our clients. A nitpicky thing, I don't like how the new analytics dashboard is separate from the old one. It would be easier and more seamless if these lived within the same space. There are a number of hot topics in the industry that we are trying to solve for our clients, ranging from fraud and viewability to cross-device attribution solutions. We are utilizing Sizmek for pre-bid viewability and fraud. This is a huge benefit to our clients. Although they are not asking for this information, we are reporting and optimizing in the background as a best practice. It is helpful to have this live within our ad serving platform. As an agency, we are looking to utilize Sizmek for weather-based targeting for a few of our clients where it makes sense. "Dynamic Banner Ads -multiple versions"
the ability to swap out images and text on the fly. The difficulty in learning a new platform and having to set everything up from scratch. Training has been minimal and when I ask questions I seem to not always get answers. The Sizmek team seems to have too many silos and each person can only speak to their tasks so it feels as if we are getting passed around when we have questions. Find out exactly what the roles on the customer is vs. what services Sizmek provides. We were looking for a vendor who could provide banner ads in multiple sizes, with multiple versions and for multiple properties. We were under the impression it would be easy to version everything out and track it all uniquely, but the amount of front end work to get this done did not outweigh the time it was supposed to save on the back end. "Sizmek Review - it's about the people we work with and not the product"
- Malaysia team is very responsive and understands urgency of our requests. Team player and works hard for the account's demands. We look forward in working with her more next year. - Some media owners pay for our ad tracking fees but the same rates are not extended to them even if it's for the same client. This is disappointing as we wanted to use media owner's budget to cover production fees. - Training is not very hands-on (it's very generic and we don't find any practical application to it). - Cross devices via log-ins to determine unique reach and apply frequency cap on a campaign basis and not media basis. So far, we know that the competitor can do this without a cost. Unsure if Sizmek has this kind of service. - Get the account servicing person to sit with you on your first campaign and every time there is something new you are doing to your campaign. It helps ease the pain of setting up. However, I'm not sure if this is allowed as this didn't happen to me. - Unbiased reporting and trust that data will not be misused. "Sizmek opens opportunities for more successful digital campaigns"
What I like the most about Sizmek is the level of control I have over my ads. If I need to change something I can do it immediately and not have to wait for someone at the site to have time to do it. I can also rotate however I want, and manage very complicated schedules with ease. I also like that the creative can be better serving through Sizmek. Most places have file size limits of around 40k, and with Sizmek, that file size limitation is never an issue. It would be nice if I could detach a delivery group and attach a different delivery group to a publication without having to send them a new tag. Or if I could geotarget by site. Sometimes we have ads set to run a specific way because of product registration laws. If situations change while ads are still running, I can't change the delivery group and this can complicate things. Agriculture can be a difficult audience to reach with digital. Some of the websites we use are very small and low tech sites, however it has been easy to get them set up and using Sizmek, often as their first experience with an ad server. Many of these smaller sites have a lot of limitations as far as file sizes and rotation abilities. Once we get them on Sizmek, we can serve as we wish. We have been able to increase our effectiveness reaching the agriculture audience. Being able to run and receive domain reports quickly. The bulk edit and upload feature works better and faster than other platforms. Very helpful when making changes to extensive campaigns. The platform is slow. Moving quickly between the screens is not an option. This increases the total process time to traffic campaigns. The bulk edit feature helps but it is only useful for the Media Plan Tab. Having to sign an IO for every campaign is a step that should be eliminated - it takes too long and this step is not in other platforms. Not all the information is entered before the IO has to be signed to get the first set of tags out. Therefore, the original signing is usually null and void since many times the campaign is adjusted before during and after the IO is signed on the billing tab. The multiple steps to save creatives, upload to the campaign, publish them, change creative rotations - all of which take place on different tabs can be tedious process. Sizmek can be a good platform to use, however, currently the platform has some obstacles for efficient implementation. This is supposed to be changing, the question is how soon. AdServing at an inexpensive cost. However, this increased the time it took to traffic one campaign. Recommend speeding up the time it takes to move within the platform. Also, reducing some of the tabs or making the overall UI cleaner and user friendly. There are a lot of features and they support team is fantastic. They do a great job at making sure we have lots of opportunities to learn the system and new features and functionality as the become available. - It seems like there are a lot of features that were put into the system, but older features were never removed, so there are a lot of legacy features that are no long relevant, but they are still options, so it looks like there are duplicates of the feature in different parts of the system, but they do two different things. - Rather than assigning one creative to multiple placements, it makes a copy of each creative per placement, with the original creative as the "Master". I think it would be more efficient to have just one creative assigned to all placements, and if you need the one-off creative, you make the one copy and assign it as necessary. - In some instances, you can't revise important parts of the Master Ad, so you end up having to revise however many copies of the ad were created, which can be way more time-consuming than it needs to be, When I asked them why this was the case in one situation, the only answer I got from support was "I don't know. It doesn't make sense for it to work like that"
- Can't cut tags unless there is an ad assigned to the placement, so if approvals are taking a long time to go through, we can't cut the tag until it is officially ready to go, which could made it difficult to get things campaigns live, if we get creative approval the day before it is set to go live, since more pubs want a 2-3 day lead-in with tags. - No ability to just upload the asset directly to the new ad. Instead, you have to upload assets, then separately create the ad pointing to the asset that was uploaded to the system. - Rather than being able to add in sites to our personal instance of Sizmek, all instances use the same site list, and we have to have Sizmek add things in if the site isn't available. From what I can tell, this was an option at one point, but they limited access to this feature to just something for internal users (there's instruction on added in new sites on the help section). Due to this, there appears to be multiple site names for the same site, which can cause difficulties when setting up 3rd party reporting for publishers. It looks like all instances of Sizmek use the same site section list that everyone selects from, but also adds to. - Rather than automatically transcoding videos to fit publisher specs, based on the original video file, you would have to upload individual videos that are to spec. Other video ad servers have been auto-transcoding and delivering the best video video per publisher specs for years already. 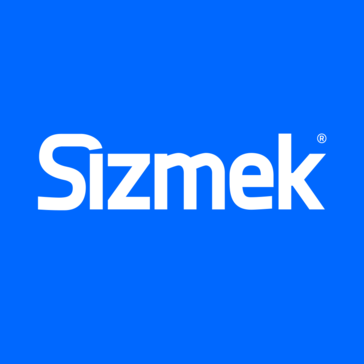 We have used Sizmek for a few years now, but nobody seems to know why. There are some definite capabilities that we aren't taking advantage of, but we are steadily working towards that, to streamline our campaign set up and reporting. I have heard rumors of a new iteration, and I am excited to see what the new system looks like, but my hopes aren't the highest at this point. Sizmek has a great client service, they are always available to help us and they even hold webinars to teach how to use new features. The automatic reports are very helpful, we use them in all our campaigns and they help us save a lot of time. Display functionality is excellent and the new tool for html5 is very user-friendly, no need to have programming skills. Sometimes I find the platform a little complicated, there is too much stuff that we don't use or need. But the most important part I dislike is the amount of time we have to wait for everything to be ready to start our campaigns. Sometimes our clients need to start a campaign immediately and Sizmek makes us wait 48 hours. It is a great tool and the company offers great service. I would recommend the people considering Sizmek to insist on faster implementation of campaigns. With Sizmek, we have solved our need to serve our videos and banners, with the benefit of great service and good performance. Allows remote loading of fonts & JS libraries such as GreenSock, which do not count toward file size of banners, unlike some other ad servers. Great integration with your choice of toolset be that hand crafted HTML, Edge, Canvas HTML exported from Flash or the custom Sizmek HTML ad builder tool which again is really easy to use. The support is fantastic with most issues being sorted out within a couple of hours. The have been very proactive with the recent sudden shift of many advertisers to HTML offering courses to help users with the transition. Great library of demo banners to work with when looking to build different types of banners. I cannot recommend highly enough. There's not much to dislike. There are plenty of issues i have had with other competitor servers which haven't been a problem on Sizemek. Ad banner creation for a range of advertisers and agencies. "Gets the job done but could be better." Very user friendly UI, Delivery group setup is very useful. Basic reports are easy and quick to pull. 1x1 placements are only able to append one 4th party pixel and daisy chaining pixels still doesn't fix this problem. Double Click is able to append multiple. I've noticed lately that a lot of Video quartile data has been off. Even within VAST tags, some days data shows more video completes than video starts which should be impossible. When pulling more advanced metrics in reports, it gets a little trickier to easily do this. Exporting Ad URL plans is very glitchy. I have to play with it multiple times to get it out correctly to adjust things and import back in. Smart Planing Tab and Media Plan tab should be connected. If something is deleted or copied from one, it would be nice for the other to reflect. Attribution. The attribution isn't advanced enough to give an accurate multi touch attribution. Also solving for better mobile ads across the industry to tag more items accurately. Cross device attribution would be huge as well. "Test campaign ran into several problems"
The sales person and support team were responsive to my questions and inquiries. I like that I have my own login and can run out reports as frequently as I need to. The platform reporting is all over the place. There are different sections to pull out different reports and they all come out in different formats. There should be one place to get everything. A few features were not enabled right away (such as geo & viewability), so we did not have a full set of data. There was one day when the data in the system was updated after I ran the report and I wasn't notified. Make sure that you let your sales person know of all the metrics that you want to measure before the campaign starts. Even if its included in the cost, not all sections automatically enabled. The benefit of Sizmek is that once the campaign is set up properly, I can run out any type of report and as many reports as I need, which makes it convenient. Sizmek is always willing to go a little farther to meet the client's needs. The contacts that we have at this business understand what our needs are and work with us to make sure that all our campaign objectives are met. They are responsive and reachable all the time by email, phone, and instant message. There have been quite a few times where Sizmek has pulled off turn-arounds that were expedited in order to deliver for a client. There have been multiple instances of them creating ad formats specifically designed to meet our needs and the needs of our clients. Overall, they have been great partners with our business and with our clients. The contacts that I work with at Sizmek are on the east coast and I work on the west coast - sometimes this is inconvenient. Additionally, we don't have access to the Sizmek reporting dashboard. Access to this would be a huge improvement. Be specific with what you need from this company - they can deliver what you need. We are using Sizmek to deliver rich media experiences to our clients. This solution is needed to be competitive with other publishers in our space. Sizmek has been able to deliver on all the ad formats that we use, and the experiences they've created have been terrific. "Great product but still needs work in key areas"
Full trafficking and ad serving system with an easy UI. I like the ease of setting up campaigns and the ability to manage everything from start to finish in one system. Ad creation and reporting are probably the 2 most flushed out and easy to use products within the suite. Make sure you have a very responsive customer service team at Sizmek as, even with year of trafficking experience under my belt, there are still a TON of questions that come up that really can't be solved by yourself. E.g. custom coding that needs to be added to ads in order for the creative to render properly on certain sites. With mass amounts of digital media across multiple clients, we needed to find a product that could serve our ad serving and reporting needs while also being able to tie into Google products for analytics, attribution, etc. "Overall, good experiences working with Sizmek and quick turnaround when facing challenges." I enjoy the fact that it's difficult to mess up. There are many checkpoints that have to be passed to continue, which makes it easier to teach others to use the product. We can trust newer users to set up campaigns this way. I also enjoy the preview functions while uploading creative. We're able to see and test right in the Sizmek interface. We see what everyone else will see to help get a feel fro the campaign. It is difficult to upload HTML5 creative. I'm currently in the process of uploading HTML5 assets, and it has taken weeks of revisions to get the campaign live. I also dislike the amount of time it takes to load each page. It seems as though very simple edits become complex while waiting to proceed to the next step. It can become tedious at times, and under the time pressure in an agency, it is less than ideal. We should be able to set up creative agencies with logins to access our campaigns - this would allow them to build HTML5 units in Sizmek and avoid uploading issues. I have realized that the benefit of using Sizmek is to own the campaign. * We monitor all Sizmek reviews to prevent fraudulent reviews and keep review quality high. We do not post reviews by company employees or direct competitors. Validated reviews require the user to submit a screenshot of the product containing their user ID, in order to verify a user is an actual user of the product.